Map of Carpatho-Ukraine in 1939. Carpatho-Ukraine (Ukrainian: Карпа́тська Украї́на, Karpats’ka Ukrayina, pronounced [kɐrˈpɑtsʲkɐ ukrɐˈjinɐ]) was an autonomous region within Czechoslovakia from late 1938 to March 15, 1939. It declared by Voloshin an independent republic on March 15, 1939. Voloshin named himself the president and asked Hitler to support him. Adolf Hitler did not reply and the historical part of Hungary was annexed by Hungary between March 15 and March 16, 1939, remaining under Hungarian control until the end of World War II, when it was ceded to the Soviet Union. The territory is now administered as Zakarpattia Oblast in Ukraine. For early history, see Carpathian Ruthenia. 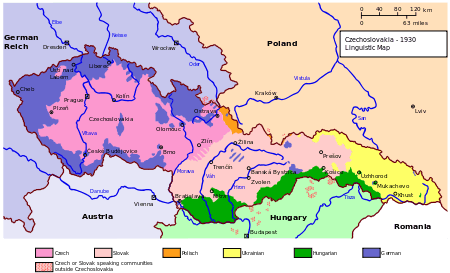 Soon after the implementation of the Munich Agreement of 29 September 1938 (by which Czechoslovakia lost much of its border region to Nazi Germany) Carpathian Ruthenia and Slovakia declared their autonomy within Czechoslovakia, which Prague accepted. The autonomous Carpathian Ruthenia (Subcarpathian Ruthenia 1919-38) changed its name to "Carpatho-Ukraine" soon afterwards, in November 1938. In November 1938, under the First Vienna Award, which resulted from the Munich agreement, Nazi Germany and Italy prevailed on Czechoslovakia to cede the southern third of Slovakia and southern Carpatho-Ukraine to Hungary. In late September 1938, Hungary had supported Nazi Germany by mobilizing between 200,000 and 350,000 men on the Slovak and Ukrainian borders, ready to invade Czechoslovakia in case of war between Germany and Czechoslovakia. After Munich the Hungarians had remained poised threateningly on the Slovak border. They reportedly had artillery ammunition for only 36 hours of operations, and were clearly engaged in a bluff, but it was a bluff the Germans had encouraged, and one that they would have been obliged to support militarily if the much larger, better trained and better equipped Czechoslovak Army chose to fight. The Czechoslovak army had built 2,000 small concrete emplacements along the border in places where rivers did not serve as natural obstacles. Under pressure of Stalin fake self-government was formed demanding autonomy on 11 October 1938 Subcarpathian Ruthenia revived its. The Hungarian Minister of the Interior, Miklós Kozma, had been born in Subcarpathian, and in mid-1938 his ministry armed the Rongyos Garda ('Ragged Guard'), which began to infiltrate guerillas into southern Slovakia and Subcarpathia (ethnic Rusyn territory). The situation was now verging on open war, which might set the whole of Europe ablaze again. From the German and Italian point of view, this would be premature, so they pressured the Hungarian and the Czechoslovak governments to accept their joint Arbitration of Vienna. On November 2, 1938, this found largely in favor of the Hungarians and obliged the Prague government to cede 11,833 km² of Slovakia and Carpatho-Ukraine to Hungary. Not only did this transfer the homes of about 590,000 Hungarians to Hungary, but 290,000 Slovaks and 37,000 Rusins as well. In addition, it cost Slovakia its second-largest city, Košice, and left the capital, Bratislava, vulnerable to further Hungarian pressure. As a consequence, the Slovak end of the Czechoslovak Army had to be reorganized. It had lost its natural defensive positions on the Danube River, almost the entire belt of fortifications along the Hungarian border and several major depots. The Arbitration of Vienna fully satisfied nobody, and there followed 22 border clashes between November 2, 1938 and January 12, 1939, during which five Czechoslovaks were killed and six were wounded. The Slovak national militia Hlinka Guard participated in these clashes. The ineffectiveness of the Prague government in protecting their interests stirred Slovak and Ukrainian nationalism further. On November 8, 1938, the Slovak National Unity Party got 97.5% of the Slovak votes, and a one-party state was instituted. 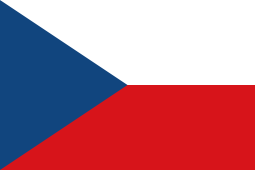 Slovak autonomy was formalized by the Prague parliament on November 19, and to symbolize this new Slovak assertiveness, the country's name was then altered to Czecho-Slovakia. Carpatho-Ukraine was also given autonomy. Slovak and Ukrainian nationalism grew more intense, and on March 10, there were demonstrations by the Hlinka Guard and Volksdeutsche, demanding their independence from Czecho-Slovakia. In the evening of March 13, Jozef Tiso (the Slovak leader) and Ďurčanský met German leader Adolf Hitler, Joachim von Ribbentrop and Generals Walther von Brauchitsch and Wilhelm Keitel in Berlin. Hitler made it absolutely clear that either Slovakia declared independence immediately and associated itself with the Reich, or he would let the Hungarians, who were reported by Ribbentrop to be massing on the border, take the country over. In fact, encouraged by the Germans, the Hungarians were largely massing on the adjacent Ukrainian border. During the afternoon and night of March 14, the Slovak people proclaimed their independence from Czecho-Slovakia, and at 5:00 a.m. on March 15, 1939, Hitler declared that the unrest in Czecho-Slovakia was a threat to the German security, and sent his troops into Bohemia and Moravia, meeting virtually no resistance. Carpatho-Ukraine is an independent state. The name of the state is: Carpatho-Ukraine. Carpatho-Ukraine is a republic, headed by a president elected by the Soim of Carpatho-Ukraine. The state language of Carpatho-Ukraine is the Ukrainian language. The colors of the national flag of the Carpatho-Ukraine are blue and yellow, blue on top and yellow on the bottom. The state emblem of Carpatho-Ukraine is as follows: a bear on a red field on the sinister side, four blue and three yellow stripes on the dexter side, as well as the trident of Saint Volodymyr the Great. The national anthem of Carpatho-Ukraine is "Sche ne vmerla Ukraina" ("Ukraine has not perished"). This act comes valid immediately after its promulgation. The proclaimed Carpatho-Ukrainian government was headed by President Avgustyn Ivanovych Voloshyn, Prime Minister Yulian Révaý, Minister of Defence Stepan Klochurak, and Minister of Internal Affairs Yuriy Perevuznyk. The head of the Soim was Avhustyn Shtephan, his deputies were Fedir Révaý and Stepan Rosokha. The Slovak declaration of independence caused law and order to break down immediately. On the same day, Hungary had learned that the Germans would not object to a Hungarian takeover of Carpatho-Ukraine. The Carpatho-Ukrainian declaration of independence was taken as the cue for the Hungarians to demand that the Czecho-Slovak government evacuate its troops and civil servants from the area of the Carpathians immediately. The Czecho-Slovak government did not respond, and instead ordered its troops to attack the city of Mukacheve (previously ceded to the Hungarians on November 2, 1938) on the morning of March 14, 1939. The available Hungarian forces consisted of an infantry regiment, two cavalry regiments, three infantry battalions on bicycles, one motorized battalion, two border guard battalions, one artillery battalion and two armored trains. These forces were counting for more than two World War II divisions. They were supported by Fiat CR.32 fighter planes amounting to one regiment. The Hungarian Border Guard units stationed around Mukacheve, after throwing back the attacking Czecho-Slovak units on March 14, 1939, pressed forward in turn, and took the town of Orhegyalja (now Pidhoriany now part of Mukacheve). On March 15, 1939 the Hungarian Army regular troops invaded Carpatho-Ukraine and by the nightfall reached Szolyva. The Carpatho-Ukrainian irregular troops, the Carpathian Sich, without additional support, were quickly routed. Czecho-Slovak resistance in Carpatho-Ukraine was negligible, and the advancing Hungarian troops did not have to face a well-organized and centralized resistance. The Hungarian Army also had the advantage of the Vienna Award, which made it possible for the Hungarians to take possession of the area where the Czechs built their permanent fortifications against Hungary. On March 16, 1939, Hungary formally annexed the territory. Prime Minister Yulian Révaý had resisted the Hungarians until then. In the night to March 17, the last Czecho-Slovak troops left Khust and retreated to Romanian borders. They and the one-day president of Carpatho-Ukraine, Voloshyn, fled to Romania. The Hungarian Army continued their advance, pushing forward at top speed, and reached the Polish border on March 17. According to witness recollections, all captured Sich members Hungarian soldiers were tied in fours with barbed wire and throwing them in Tysa. Those Sich members who came from the province of Galicia as Polish citizens were captured by Hungarians and handed over to Polish soldiers for illegal crossing of border, while some 500-600 were executed by Polish soldiers. 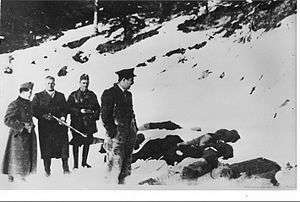 The last resistance in the Carpathian mountains was taken out on March 18. The invasion campaign was a success, but it also proved that the Hungarian Army was not yet ready for full war. The handicaps imposed by the Trianon Treaty were clearly visible, but the morale and nationalist spirit of the soldiers and the civilian populations were high, which also are important to build a strong national army. During the German occupation of Hungary in 1944, almost the entire Jewish population was deported; few survived the Holocaust. At the conclusion of the battle of the Dukla Pass in October 1944, the Soviet Union had driven out the Germans and Hungarians and liberated Carpathian Ruthenia and the rest of western Ukraine. Control of Carpathian Ruthenia was thus "nominally" restored to Czechoslovakia. The delegation of the Czechoslovak government-in-exile, led by minister František Němec, arrived in Khust to establish the provisional Czechoslovak administration, according to the treaties between the Soviet and Czechoslovak government that year. However, just after few weeks, for reasons that are still not clear, the Red Army and NKVD started to obstruct the delegation's work and finally the puppet "National Committee of Transcarpatho-Ukraine" was set up in Mukachevo under the protection of Red Army. On November 26 this committee, led by Ivan Turyanitsa (a Rusyn who deserted from the Czechoslovak army) proclaimed the "will of Ukrainian people" to separate from Czechoslovakia and join the Ukrainian Soviet Socialist Republic. After two months of conflicts and useless negotiations the Czechoslovak government delegation departed Khust on February 1, 1945, left Carpatho-Ukraine under the Soviet control. On June 29, 1945, a treaty was signed under pressure of USSR between Czechoslovakia and the Soviet Union, ceding Carpatho-Ruthenia officially to the Soviet Union. In 1946 the area became part of the Ukrainian Soviet Socialist Republic, as the Zakarpattia Oblast (Transcarpathian Region). 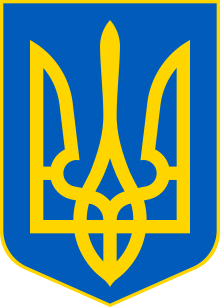 The Soim of Carpatho-Ukraine was established on February 12, 1939 by the Czechoslovakian constitutional act of November 22, 1938. It consisted of 32 representatives with 29 Ukrainians and three of national minorities. There was only a single session of the parliament that took place on March 15, 1939 in Khust. At the session the parliament approved the proclamation of the sovereignty of Carpatho-Ukraine, adopted its Constitution, elected the president, and confirmed the new government of Julian Revai. The head of the Soim became Augustin Štefan with his deputies, Fedir Revai and Stepan Rosokha. The presidium of the Soim emigrated out of the country following the invasion of Carpatho-Ukraine by the Hungarian Armed Forces. Sevastian Sabol (1909–2003), a native of Presov and a surviving victim of Soviet and Hungarian prosecutions. During the Hungarian invasion of Carpatho-Ukraine, in 1938–1939 he was a chaplain in Carpathian Sich in Khust. On December 16–18, 1948 in Prague Sabol was sentenced in absentia to life in prison for cooperation with the Ukrainian Insurgent Army. Winch, Michael: Republic for a day: An eye-witness account of the Carpatho-Ukraine incident, London 1939. ↑ William L. Shirer (1960), The Rise and Fall of the Third Reich, reprint, Greenwich, CT: Fawcett, Bk. 3, "The Road to War", Ch. 13, "Czechoslovakia Ceases to Exist ", p. 605, SBN 449-01307-195 . 1 2 3 4 5 Skavron, B. Executed State. "Halytsky Korrespondent". Carpatho-Ukraine from "Encyclopedia of Ukraine"
"The Greatness and the Tragedy of Carpathian Ukraine", Zerkalo Nedeli (Mirror Weekly), March 13–19, 2004. in Russian, in Ukrainian.